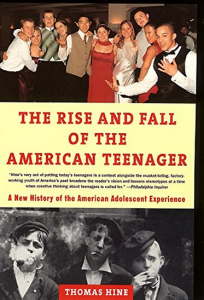 Thomas Hine provides some interesting observations in this semi-historical book about the recent phenomenon called “the teenager.” The author’s opinion is that before the Depression and WWII, teenagers were considered adults as soon as they were capable of performing adult work and responsibilities. Since then, they have been “set aside” to wait until they become adults. His point is “not to assert that all people in their teens should be considered full-fledged adults and be treated accordingly. Rather…that they should be treated as beginners—inexperienced people who aren’t fundamentally different from adults, but who usually need more help, more attention, and more patience.” The reader must remember that this is a secular book, and many of the issues he sees are far different than those a conservative Christian should see. However, it is refreshing to read an author who sees the possibility of expecting much more from our teens than we might assume.